The VBS Notes section editors provide brief looks ahead at this year’s meeting of the Vit-Buckle Society. New technologies call into question some assumptions regarding the use of laser. 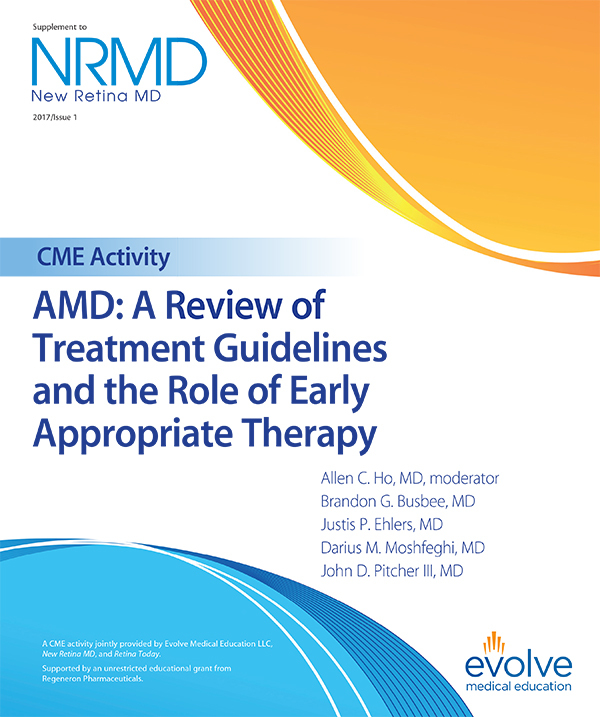 An algorithm detected retinopathy as reliably as a panel of ophthalmologists. What’s next? A survey provides an improved understanding of the unique problems faced by retina doctors in Sub-Saharan Africa. On California, Connery, and coiffures. Sometimes the best advice may come from someone close in age to the mentee. Understanding new CMS rules could lead to a reimbursement bonus—but misunderstanding them may lead to reimbursement reductions. The relationship between the incoming HHS Secretary and the Senate Minority Leader may be the key to ACA overhaul. By Jeffrey J. Kimbell and Kenneth L. Hodge. Two seemingly contradictory proposals shelved as a result of AAO action. An uninvited guest sets up shop in the eye. Investors who diversify their portfolios into nontraded assets can mitigate their risk of loss. 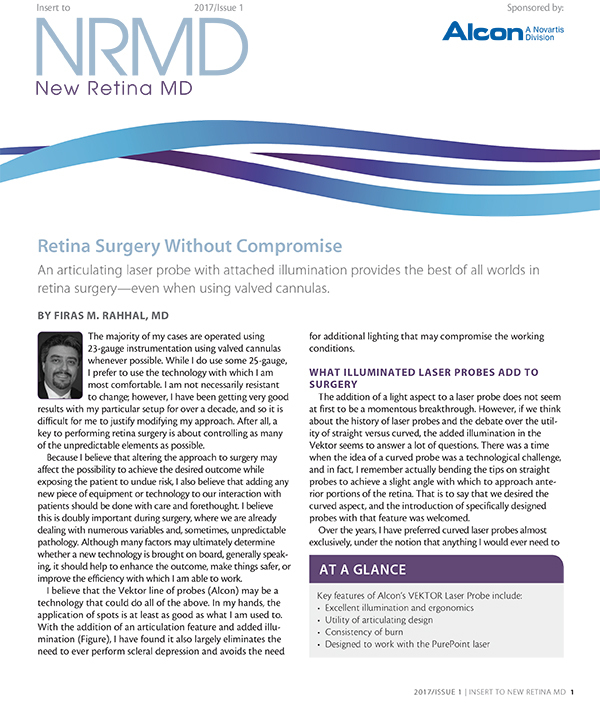 New Retina MD delivers cutting-edge content to retina specialists in their first 15 years of practice. Each issue provides fresh insight from younger physicians plus established mentors on clinical and nonclinical issues affecting ophthalmologists in the earlier stages of their careers. 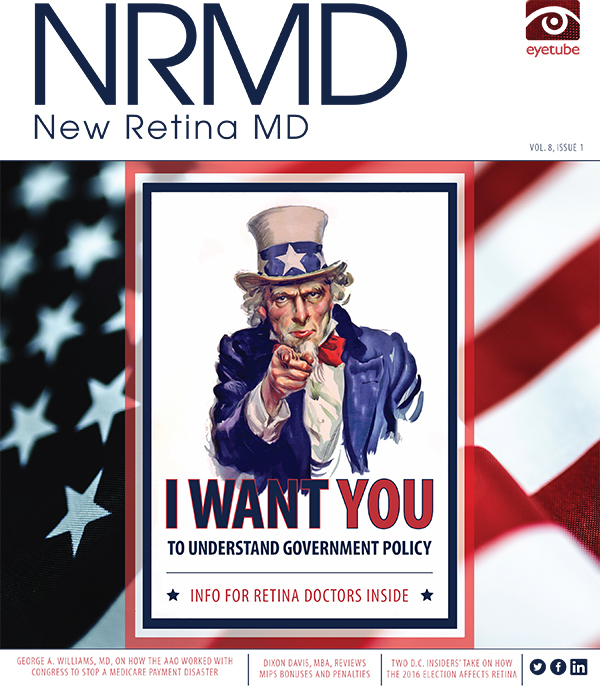 NRMD features surgical pearls, clinical research endeavors, practice management, medical reimbursement and policy, continuing educational requirements, financial planning, innovations, and more.